Massachusetts food allergy awareness law goes into effect… but is it enough? Along with just about everyone else who cares about food allergies in America, I was very excited when Massachusetts became the first state in the nation to pass a law setting basic requirements for restaurants to help protect patrons with food allergies. 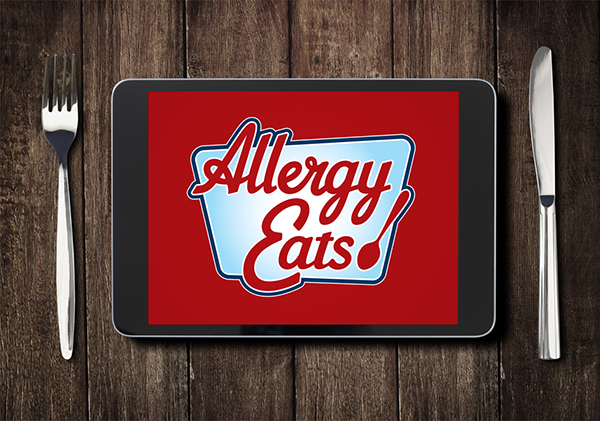 – Restaurants must prominently display a food allergy awareness poster in their kitchens. – Every restaurant must have a “certified food protection manager” who has viewed a specified training video (goes into effect in February). 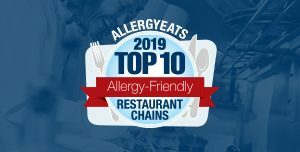 – The Massachusetts Department of Public Health must create a set of criteria that allow a restaurant to be designated as “allergy friendly” (date TBD, but sources caution me not to expect this soon). This is a great start. No question. And despite anything you read in the rest of this post, please do not mistake it as a criticism of the current law or the tremendous effort that went into its creation. I, like so many others, am extremely grateful to all those who put in the incredible time and energy on our behalf to pioneer this extremely important initiative. They deserve our respect and gratitude. But I do wish the provisions of the law were more stringent. In particular, I’m bothered by the requirement that only one person per restaurant needs to be food allergy trained, and that the training is simply watching a half-hour video. Is it enough to only require a single employee to be trained? Is 30 minutes enough for proper training? Will that one individual be qualified to teach an entire staff about food allergies after simply watching a half-hour video? This leads me to my other major concern. Is a poster enough for the rest of the staff? Will it just blend into the scenery over time, destined to be rarely noticed? Unfortunately, my guess is yes. Yet, with turnover in restaurant staffing being incredibly high, I understand that many restaurateurs do not feel they can “fully” train each employee. It may not be feasible for some. To me, the most reasonable and prudent alternative would be to require more than one individual per restaurant go through a training program, preferably something more engaging than just a half-hour video. How can we be sure these restaurant employees are truly paying attention and not texting, daydreaming, or falling asleep? Realize that this video is viewed in one’s personal environment and not at a training center of any sort. Further, according to a Letter to the Editor in the Berkshire Eagle (“Allergen Act is only a first step”, 10/7/10), both the video and poster are only available in English. Yes, I know I’m acting the part of Monday morning quarterback, but I wish this law had tougher provisions. That said, I don’t fault the authors of the law. Again, I’m thrilled that they were able to craft a law in the first place. In fact, I assume the authors of this law would also have liked stricter requirements. However, political realities being what they are, I’ll hazard a guess that it would have been impossible for all parties to agree on tougher provisions. More education, training, and awareness. 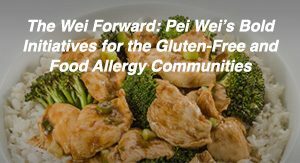 Sounds like an issue readers of this blog have been talking about recently and an issue that the most allergy-friendly restaurants already practice. So while I’m very happy that Massachusetts now has a law in place, the reality is that there will still be a large disparity between those restaurants that “get it” and those that don’t. And whether a restaurant gets it or not will be determined by the commitment of that restaurant’s owners and management. So what do you think? Am I unreasonable? Should I just be thankful for the great strides accomplished with this law and not ask for more? Am I mistaking any facts? Or do you too wish the law’s provisions were stronger? Are there additional changes you would have wanted? Please click on Comments or Reply below to share your thoughts. (And please don’t think that you have to be from Massachusetts to respond. Hopefully, similar laws will pass nationwide over time.) I would also welcome any comments by those who worked tirelessly on the creation of this law. 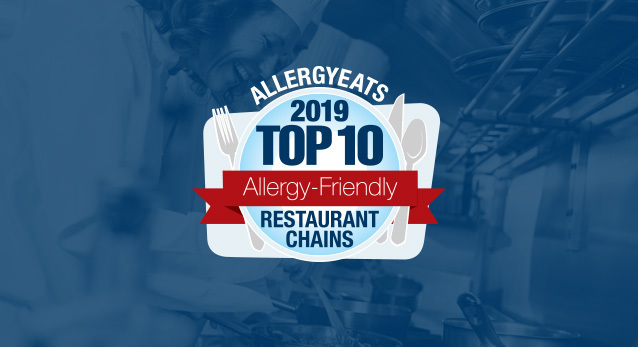 As always, let me also remind you that AllergyEats is here to help our community determine which restaurants truly are the most (and least) allergy-friendly. To do so, we need your help. Please go to the main AllergyEats site (www.allergyeats.com) and rate any restaurant at which you’ve recently dined. It only takes a minute, but it makes a big difference. Each new rating increases the value of AllergyEats for our entire food allergy and intolerance community. I live in CT, close enough to MA to make dining there an option. If I’m being completely honest, this law troubles me more than it makes me feel hopeful. I’m on the hunt for those restaurants whose management really wants my business and genuinely cares about my son’s safety, not those who are required by law to act like they care. I worry this law just makes it harder to distinguish between the two. For example, today if I see a statement on the menu similar to the one required by this law, I consider that a clue that this establishment might be trustworthy. I really prefer an approach like a database of customer reviews, a la AllergyEats, or a voluntary certification program. I’d rather retaurants have the freedom to make it clear to me that they don’t give a damn, like Applebees, than to have them required by law to act like they do. I agree that it is a good start. I would like to see training for everyone on staff from management down to cleaning crew and preferably more than a 30 minute video. This law doesn’t make me feel safer and won’t change the way I dine out. I am glad there is a law as any step on the direction is a step forward. Is it enough? NOOOOOO. Allergy is such a complicated issue so many are more worried of not being sued the caring for the allergic individuals… it is so sad to deal with the constant worry and disappointment of my son (PA, TA, Shellfish) when again and again he is denied the possibility of eating because of his allergy…. the other day I called Donkin donuts to inquire why their donuts are not safe and wanted to know where the risk of contamination was exactly as donut don’t contain his allegens; all the agent said is we can’t guarantee, we try but we don’t know, she just would not listen I said well i understand that but can’t guarantee and the risk is mine but could u explain how contamination could occur and where is the risk instead of saying u can’t guarantee… well same recording again….Called Finagle bagel who has same policy about everything could be contaminated we are not liable and same stupid answer… is law going to change this or having an army of can’t guarantee restaurants…. I am afraid It won’t and it would be great if it would…. I drove through, got my coffee and flagged down the manager, only to discover that corporate had decided the sign was the way to be legal. Would I like a card with the McDonald’s web site on it? All the allergy information is there. And by the way, would you tell me what gluten free means, I never heard of it? Anyone who has a serious allergy, eats out, and hasn’t figured out how to check websites already is in a peck of trouble. There was no way I could be fooled into thinking anyone at the McDonald’s understood allergies, but a conversation was started. I am guessing that the two local restaurants which have been open about not being willing to touch me with a ten foot pole, will continue as always, postings or not. I struggle to find a balance between my personal allergy issues, and my views as to how the government should operate. I really wish this was a consumer-driven wave of allergy awareness. 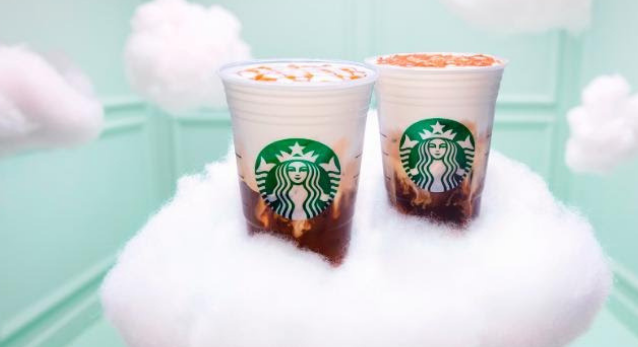 It just seems to me that if something is mandated by a higher authority, it won’t be taken as seriously as if it would affect the bottom line. I do appreciate that steps are being taken though… it’s better than nothing. Simply putting it out there that allergies are serious and cross-contamination as an issue is a hugely important thing. Perhaps legislation to have all restaurants carry epi pens in a medical kit would be a practical solution also. I wonder if legislation like this will ever take hold in other states? I just got to read the blog about the new law and have lots of thoughts about it. Yes things have gotten way better, way, way better. We go back 20 years and at that time we were asked to leave more than invited into restaurants and told by many that if you have food allergies you should not be eating out… Anyway, things will never be perfect but at least I can have a conversation about food allergies and most of the restaurants are able to accomodate the many food allergens we have. Having said that, since all restaurants have training for their new staff, orientation etc. the video should be part of that training and it would be a start in the discussion if a customer presents with food allergies. I would like to see all managers trained, that would cover the hours the restaurant is open. It is still difficult to deal with food allergies and restaurants but things are so much better I can’t believe they will continue to move in that direction. I can’t think of any new law that satisfied everyone involved. The political process makes compromise an absolute necessity. If advocates held out for stricter requirements, it would have likely caused many legislators to pull back their support. In the same light, if the other side isn’t willing to participate in the conversation they lose their seat at the table. Ultimately, this law is going to put food allergies on the radar screen for many restaurants that would otherwise have no idea how serious a matter it can be for their customers. It will bring them out of the dark but many food allergic patrons will find that these restaurants still have miles to go. It is a baby step, but a significant one nonetheless. I have worked in several restaurants over the years. Each restaurant has a different degree of attention to allergies. On top of that the individual servers need to have the same attention to detail and self responsibility. You could go to the same restaurant in two different locations or on two separate occasions in the same location and get different levels of service and acknowledgement of allergies. Sadly even if an individual restaurant has a strict allergy policy your server can screw up. Although they will be terminated it wont change the underlying problem that someone could have died in the process. I personally have food allergies to tree nuts and my 7 year old son has allergies to tree nuts, peanuts, fish and shellfish. Like many above we have experienced servers who blatantly disregard the allergies and our food has come out visibly contaminated, the server was uneducated on what my allergies are, or has promised the restaurant has a strict policy on allergies, a manager would bring my food out, and the food would have an allergy pick in it when none of the above has happened. All restaurants that serve alcohol require the servers and bartenders to be TIPS certified, for responsible service of alcohol. 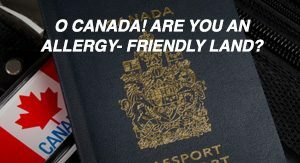 In my opinion the servers and chefs/cooks should pass an allergy awareness certification before being allowed to serve at any restaurant. Education is key here. Until anything like this ever gets passed those with allergies and loved ones with allergies should educate themselves as well and inform their servers. Do not be shy or embarrassed, own it, this is your life we are talking about. Why would you want to take that chance?! Lastly I would recommend any restaurants that make your food to order, from scratch using whole food ingredients. I would recommend dining at restaurants that have separate menus for individual allergies. I would also recommend dining at any restaurant that requires your food to have an allergy pick in it signifying it is safe for you to eat. 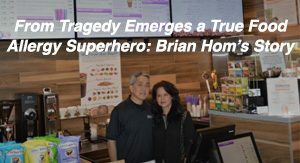 Its also a really good sign if a restaurant involves a manager to either personally deliver your food and/or check in with you before your order is placed. Safe dining everyone!